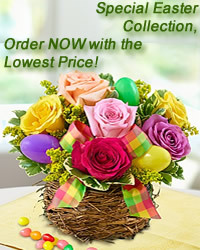 This lavish bouquet is bursting with heartfelt happiness exuding from each exquisite bloom! 51 stems of our finest roses, displaying rich red and cheerful yellow, are brought together to send your sweetest sentiments across the miles. flowers-armenia.am Rated 5 out of 4 by 70 reviewes.